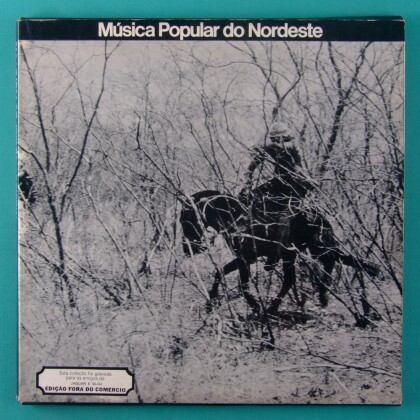 BOX Música Popular do Nordeste "VOL. 1, 2, 3 & 4"
Title: BOX Música Popular do Nordeste "VOL. 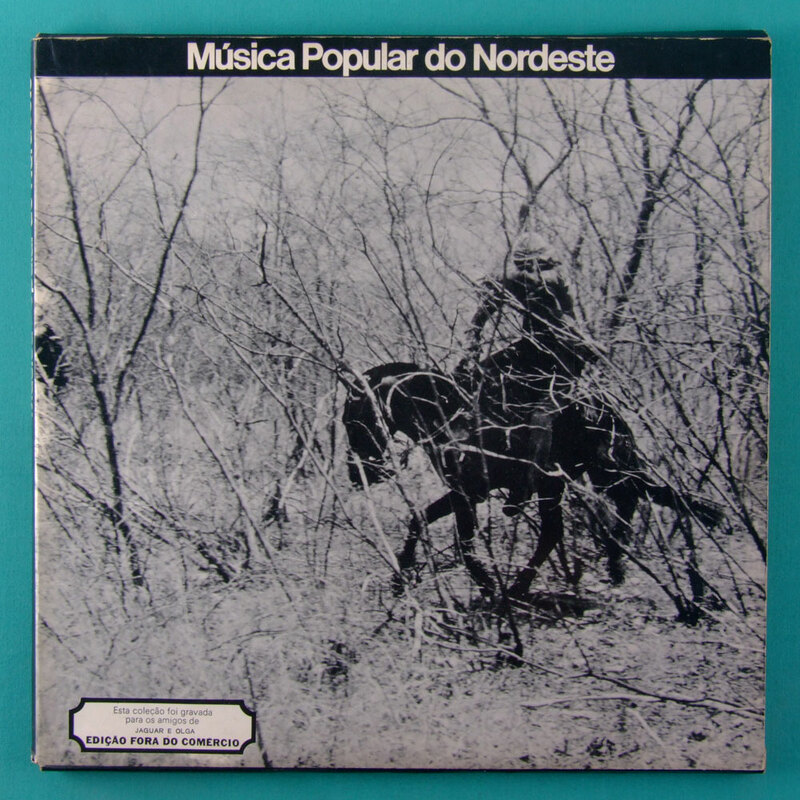 1, 2, 3 & 4"
MÚSICA POPULAR DO NORDESTE - "VOL. 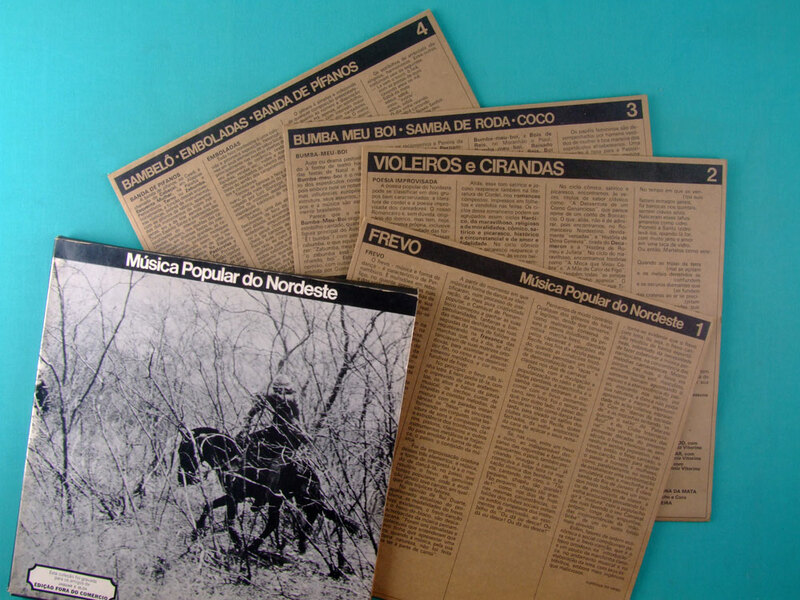 1, 2, 3 & 4" — A collection with 4 volumes from Música Popular do Nordeste Series. 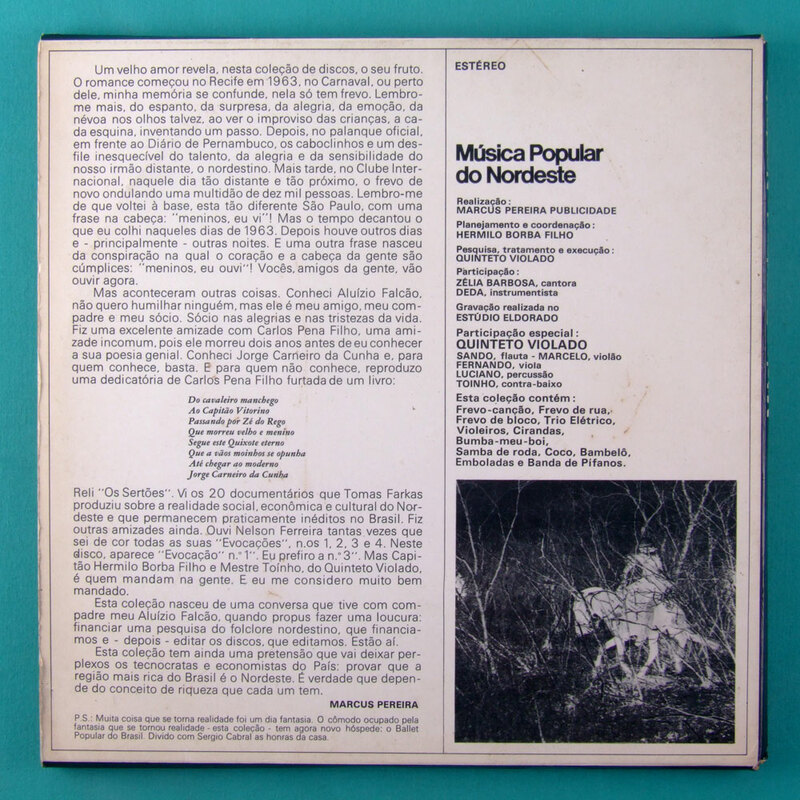 Brazilian Northeastern Regional Music Collection. First pressing from 1973 by Marcus Pereira, an independent label. 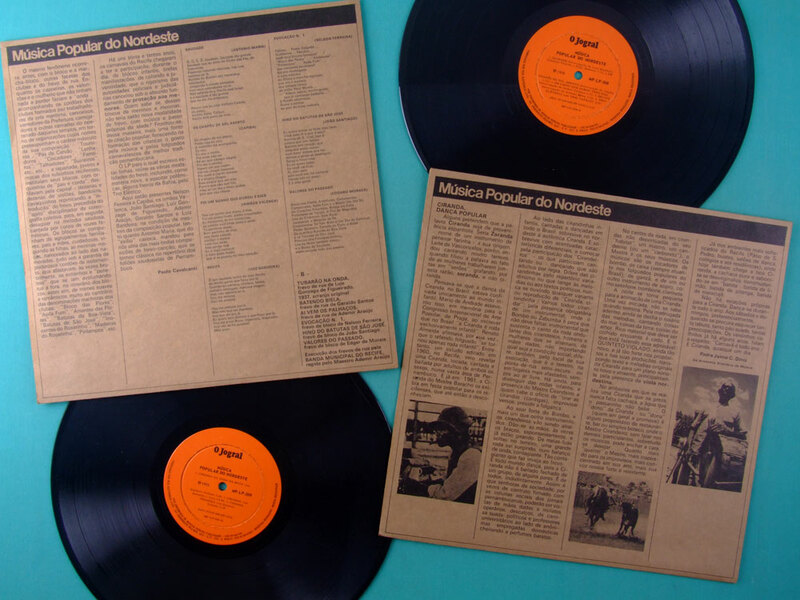 This collection is a serious research on the Roots of Regional Music of Brazil Northeast Region. This is an essential part from popular BRAZILian CULTure. 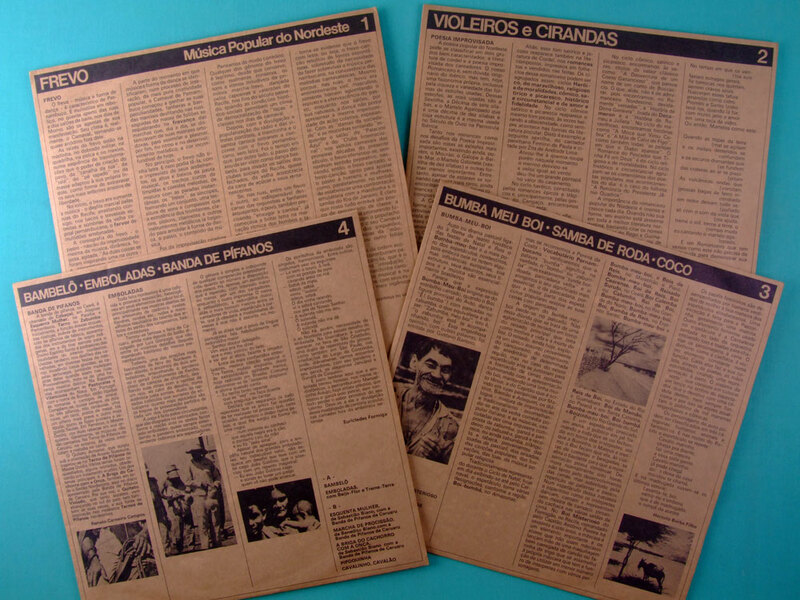 These tracks were performed by street singers, Fair Viola's player (Violeiros), Repentistas (melody and lyrics improvisations), Trio Elétrico, Banda Pífanos and Regional groups. 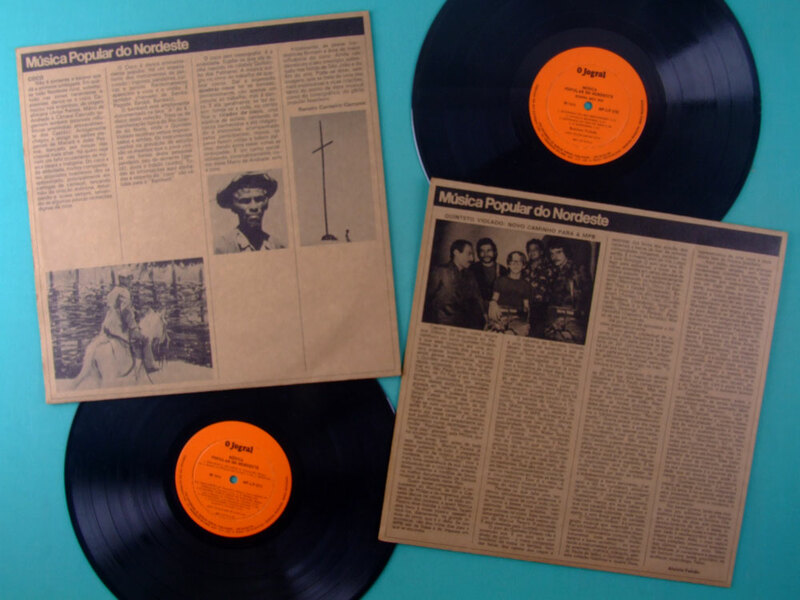 If do you like Brazilian Music, you must know this collection! 4/4 | 1 - & - 2- & - 3 - & - 4 - & - |. This rhythm cell gives to Frevo an energetic fell. 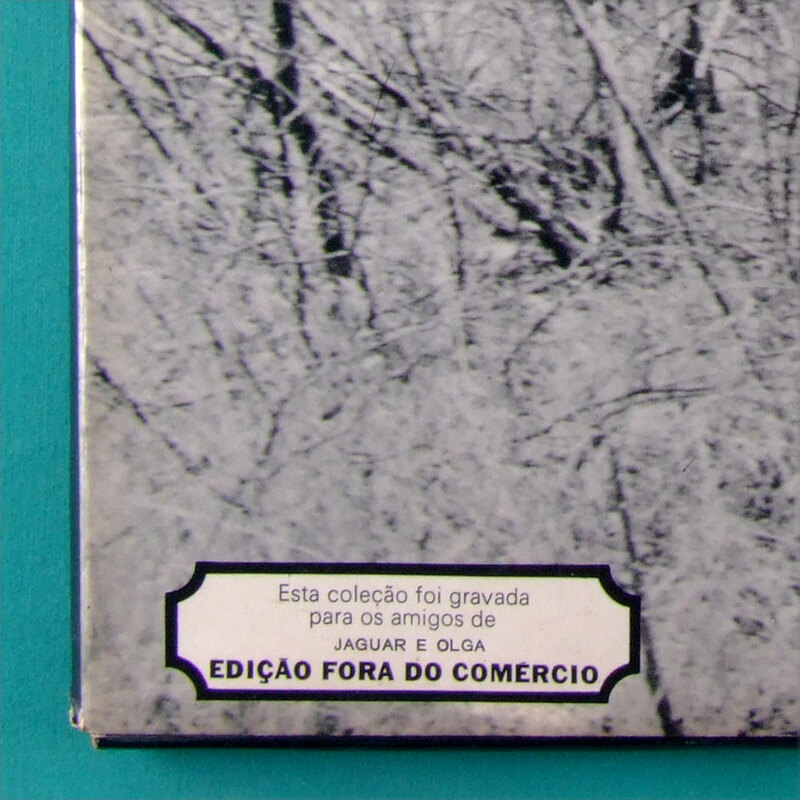 The songs from this volume were recorded by Zélia Barbosa with / and Quinteto Violado, Trio Elétrico Tapajós and Banda Municipal do Recife conducted by Ademir Araújo. Vol. 2 - VIOLEIROS (Side A) / CIRANDAS (Side B) — (12 tracks) - This 2nd album is dedicated to Violeiros and Cirandas. A) Violeiros (Viola's Player) - Are usually double of Viola* Players and singers that duel with improvised lyrics. His melodies are mood bluesy, pure feeling. The scales that are most used to create the melodic lines are: Mixolydian and/or Mixolydian #11 for the Major modes and Dorian Mode for the Minor. * Note: Viola is Brazilian musical instrument with 10 strings (5 pairs). The first 2 pairs are tuned in unison, and the other 3 lower pairs in octave. It's similar to the 12 Strings guitar without the lower (6th) pair. The "Violeiros" (Viola's player) use a very large variety from open tunings alternates patterns. The most common is Open D (called here as "Cebolão em Ré") and Open G (called here as "Rio Abaixo"). This section (Violeiros) is performed by Severino Pinto and Lourival Batista & Octacílio Batista and Diniz Vitorino. 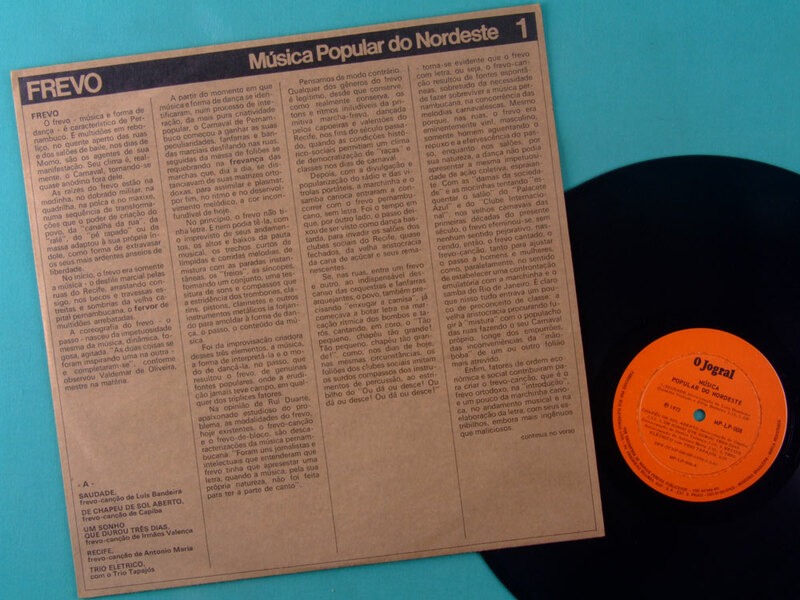 They have greatly influenced Zé Ramalho, Lula Cortes, Alceu Valença, Lenine, Zé da Flauta, Paulo Rafael, Chico Science and all northeast songwriters, players and singers. Essential Listening! B) Cirandas - Ciranda originated in Recife, in the Northeast State of Pernambuco. Is a popular dance that usually happens at a public square, beach or popular fair, where the participants hold their hands and stay in a circular formation singing Cirandas throughout the night. This section (Cirandas) is performed by Quinteto Violado and Barracho & Coro (Choir). Vol. 3 A) BUMBA-MEU-BOI (Side A) / B1) SAMBA DE RODA - B2) COCO (Side B) — (6 tracks) - This 3rd album is dedicated to Bumba-Meu-Boi, Samba de Roda and Coco. A) Bumba-Meu-Boi - It's very similar to the "Toada" Brazilian Rhythm. Very close also to the Baião in slow tempos. The time signature is usually 4/4, with a stress on 4th beat. Sometime, it could appear in 2/4 time signature, as on the 2nd track: Cavalo Marinho, for example. This section (Bumba-Meu-Boi) is performed by Quinteto Violado. B1) SAMBA DE RODA - Originated in Salvador and Recôncavo Baiano, in the Northeast State of Bahia. It's is also called in Rio de Janeiro as Partido-Alto. The participants stay in a circle and a choir sings the "mote" and each person goes improvising lyrics. B2) COCO - In this Brazilian Musical style the musicians rarely use Viola or acoustics guitar. They use only percussion instruments as tambourines, Cuícas, Ganzá, Agogo, Afoxé, snare and atabaques. The rhythm has usually a 2/4 time signature. It's performed on beaches from Northeast. Vol. 4 - A1) BAMBELÔ - A2) EMBOLADAS (Side A) / B) BANDA DE PÍFANOS (Side B) — (7 tracks) - This 4th album is dedicated to Bambelô, Emboladas and Banda de Pífanos. A1) Bambelô - It's similar to Coco. Native of Rio Grande do Norte, northeast state. This section (Bambelô) was performed by Quinteto Violado. B) Banda de Pífanos - This is a very interesting popular manifestation. The group is formed by 2 or 3 Pífanos (this is a curious musical instrument made with Bamboo. It is very similar to piccolo. They are slight out of tune); 2 Zabumbas (similar to a Bass Drum, played by the hands); 1 Tarol (snare) and 1 Prato (Crash Cymbal). In the arrangement there are no harmonies, just counterpoints lines performed by the Pífanos. It's a very interesting music indeed!